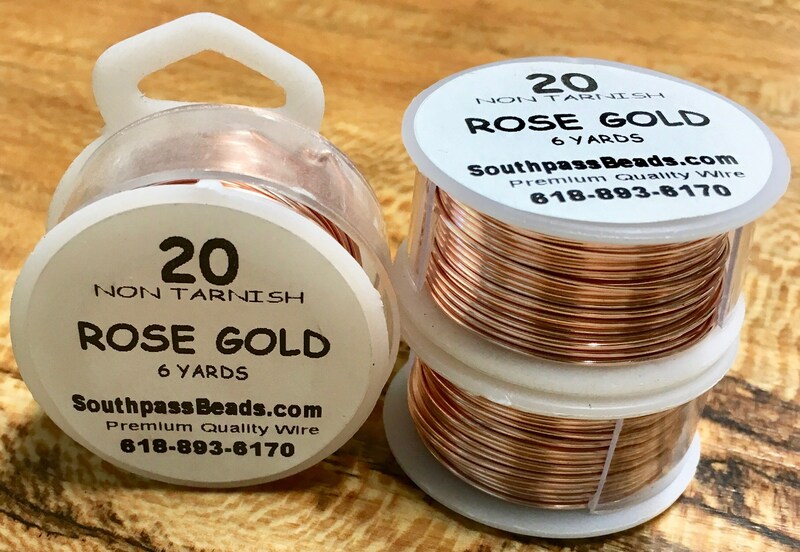 High quality rose gold plated copper non-tarnish wire, 20 ga. 6 yards - that's 18 feet!. Made in USA, professional quality craft wire! For all your jewelry, craft, beading, and other artistic projects! Seller ships promptly, great product! Love the pretty wire! Fast shipping again! Thank you!! Shipped quickly. Thanks! It was just as described.